Women farmers provide more than half of the world’s food. In developing countries, 79 % of economically active women spend their working hours producing food through agriculture. They make up 43% of the farming work force. As mothers, farmers, teachers and entrepreneurs, they hold the key to building a future free of malnutrition. And yet statistically women have less access to finance, less access to markets, and less security of land tenure than their male counterparts. If women were to be given more information, more resource, more access to the agricultural advice they need, there would be 100-150 million less people going hungry in the world today. Nominate food security and financial inclusion to be at the top of the G20 agenda in 2014. Tell governmental leaders what the world needs most. With women also more likely to surrender their meals in order to feed their children, food insecurity has a long term impact. Malnourished mothers usually give birth to underweight babies. And underweight babies are 20 percent more likely to die before they reach the age of five. Anaemia (lack of iron) in pregnant women also causes around 110,000 deaths during child birth each year. 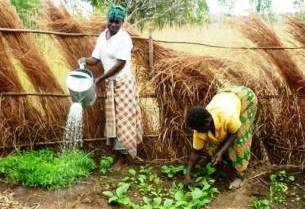 Women need to be involved in agricultural policy-making. They need to be given access to finance and access to the latest farming technologies. Productivity and family wellbeing will be improved if women farmers are empowered. Tell the world’s top 20 richest nations to make sure food security and financial inclusion are at the top of their agenda and support women farmers in developing countries.